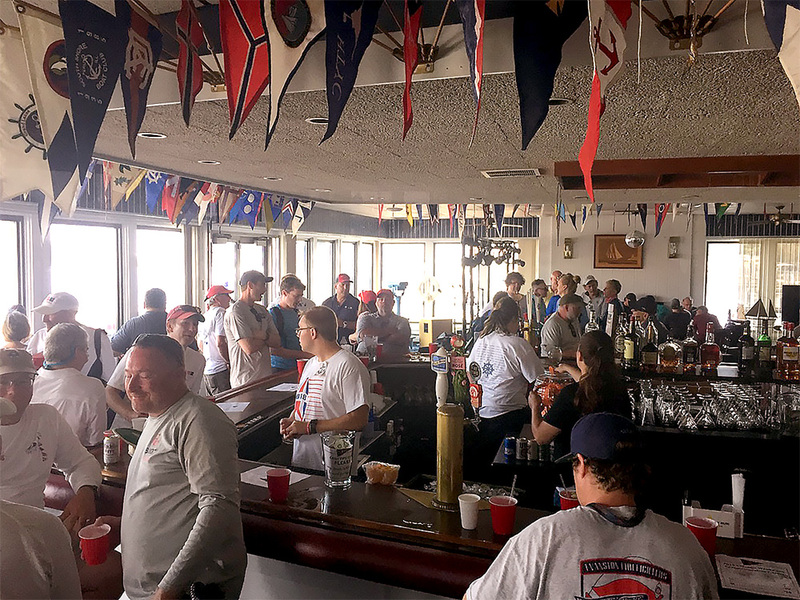 Waukegan | Joseph Conrad Yacht Club offers an active racing community. Races usually begin in May and extend all the way into October. Racing is open to members and non-members. Typically, the fleet is divided into three sections, two spinnaker sections and one jib and main (JAM). Wednesdays are focused on buoy racing with a course set up off shore. On weekends, port-to-port races round out our season. Click here to see our entire racing schedule. After all races, the club is open for drinks and dinner. All members and racers are welcome. Come and check out one of the friendliest yacht clubs on Lake Michigan.